​Milan striker Patrick Cutrone has been linked with a move away from the Serie A side this summer due to his limited game time at the club. 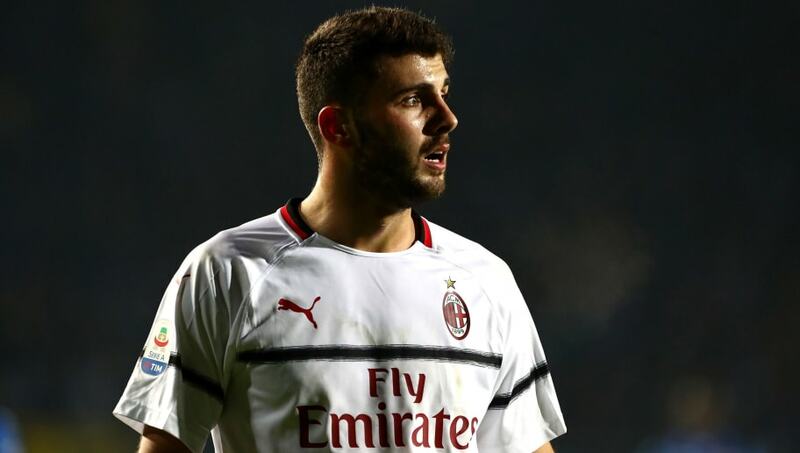 Cutrone, 21, has scored just three league goals this season as he firstly had to contend with Gonzalo Higuain for a starting spot in Gennaro Gattuso's side, before playing second fiddle to Krzysztof Piatek following his arrival in January - with the Pole netting six goals in his first eight league games for I Rossoneri. According to the report however, officials at Milan see Cutrone in their plans moving forward, and want to see the striker remain at the club, making a potential departure from the San Siro more challenging. Cutrone is certainly a striker with a lot of promise having scored 43 goals in 67 games for Milan Primavera - Milan's youth team - before going on to score 27 goals in 80 appearances for the first team, while he's also featured in every age group for the Italian national time from the Under-15s up to the senior team. Milan are currently fourth in Serie A with ten games of the season remaining, as they look to secure a place in the UEFA Champions League for the first time since the 2013/14 campaign.